The spell-binding performance saw John sit at a grand piano surrounded by dancers. 19. 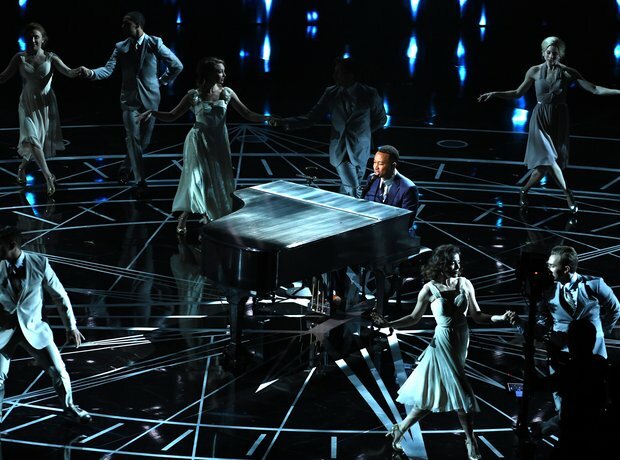 The spell-binding performance saw John sit at a grand piano surrounded by dancers.